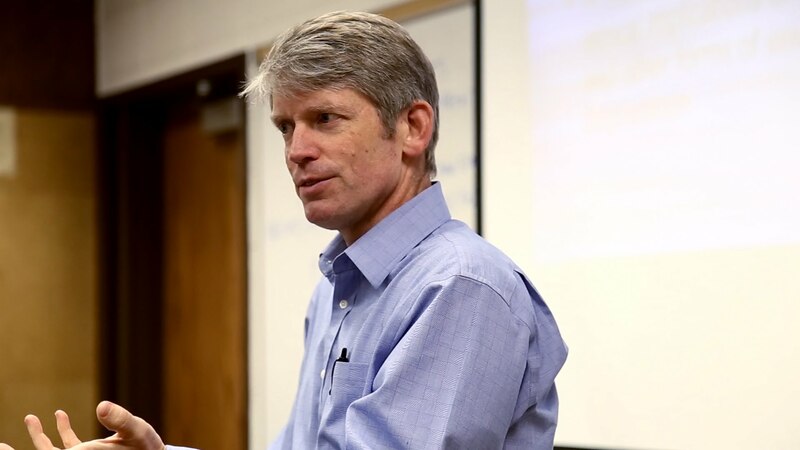 After teaching for three years at Northern Arizona University, George Handley came to BYU in 1998. His training is in Comparative Literature, focusing on the literatures of the Americas. His publications include two books on inter-american themes: “Postslavery Literatures in the Americas” (Virginia 2000), which is a study of the representation of slavery and family history in novels from the U.S. and the Caribbean, and “New World Poetics: Nature and the Adamic Imagination of Whitman, Neruda and Walcott” (Georgia, 2007), which is a critique of the imagination of nature in inter-american poetry. He has also co-edited “Caribbean Literature and the Environment” (Virginia), “Stewardship and the Creation: LDS Perspectives on the Environment” (BYU), and “Postcolonial Ecologies” (Oxford). His book “Home Waters: A Year of Recompenses on the Provo River” (U of U Press) is a work of creative non-fiction that includes nature writing, personal and environmental history, and reflections on ecotheology. He is currently working on a book, “From Chaos to Cosmos: Literature as Ecotheology.” He is also serving as associate dean. Formerly, he was chair of the Department of Humanities, Classics, and Comparative Literature and directed study abroad programs to London in 2006, the Caribbean in the summer of 2009, and London in in the Spring of 2013. He is the advisor to the student club, EcoResponse, and is active in many civic activities. You can visit his website here. He and his wife, Amy, have four children and live in Provo.